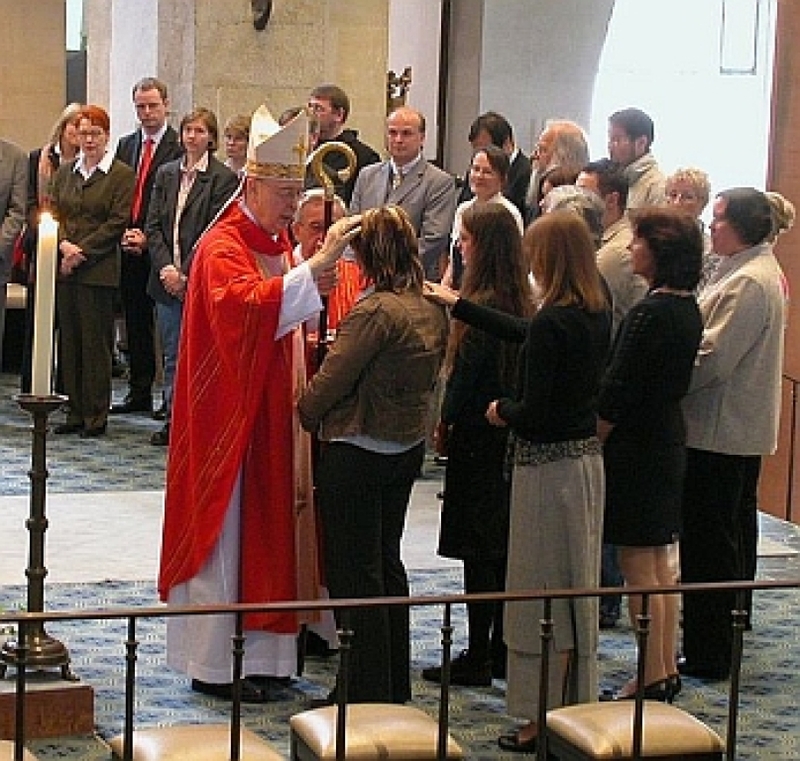 The Sacrament of Confirmation is celebrated annually at our parish and conferred upon candidates by a bishop. We provide the required two-year preparation program for candidates who are in 8th Grade or above. We also provide a separate program for Adults who were baptized Catholic but never confirmed. Below are three Registration Forms for our next Confirmation in 2020. Choose the ONE most convenient for you to register and to pay fees. All candidates must be registered parishioners of St. Martin Parish. PARENTS - After registering your child, please contact Mrs. Terri Yohman, our Youth Minister, at 330-483-3808 for the next step in your child's preparation. ADULTS - After registering yourself, please contact our pastor, Fr. Daniel Reed, at 330-483-3808. For more information on our Confirmation programs, assistance with fees, or just have a question, contact Terri Yohman or Fr. Reed at 330-483-3808.